See the Spring FAQ and add your own. 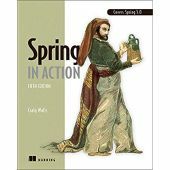 Spring, XML, beans: Okay, so what's it all mean? @Transactional not working in Spring Boot? getting an error as" No mapping for GET /ProjectFE/" how should I fix this ? does anyone encounter this error , " Premature end of file."? Spring AOP - Can AOP access to class variable ?